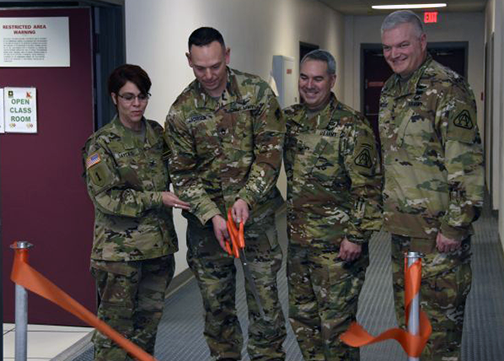 The U.S. Army has officially opened a first-of-its-kind interactive training system developed by Northrop Grumman Corporation (NYSE: NOC) that supports the Wideband Global SATCOM (WGS) Satellite Communications program. The WGS constellation of military satellites delivers secure, reliable, resilient communications worldwide for the United States and partner nations. 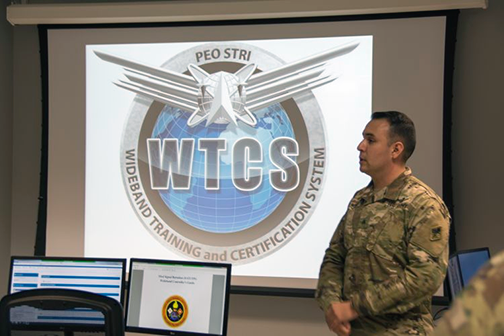 Soldiers training to manage and monitor WGS satellite communications (SATCOM) will use the Wideband Training and Certification System (WTCS) to apply classroom learning to simulations generated from real-world events. 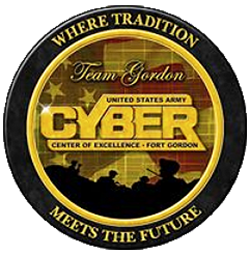 WTCS is installed on workstations at the Army’s Cyber Center of Excellence in Fort Gordon, Georgia. WTCS-trained soldiers will soon staff the Army’s five Wideband Satellite Operation Centers (WSOCs) where they will manage satellite payloads, direct the actions of terminals accessing assigned satellites, control terminal transmissions and continuously monitor the system to protect SATCOM and maintain the health of the WGS constellation. The first class of WSOC operators to use the WTCS graduated in February. Colonel Patricia Sayles, Assistant Commandant, U.S. Army Signal School; Colonel Enrique Costas, Project Manager for Defense Communications and Army Transmission Systems (PM DCATS); and Colonel Scott McLeod, Project Manager Training Systems (PM TRADE) look on as SFC Justin Jacobsen, 1C Branch NCO In-Charge for the U.S. Army Cyber Center of Excellence, cuts the ribbon during a ceremony celebrating the delivery of the Army's new Wideband Training and Certification System (WTCS). Photo is courtesy of Mr. James Christophersen (PEO EIS). “By using WTCS to ‘train as we fight,’ WSOC operators will be better prepared to deliver their 24/7, no-fail mission to enable satellite communications for our warfighters. It is all about operational readiness; the Army’s number one priority,” said Colonel Enrique Costas, program manager for Defense Communications and Army Transmission Systems (PM DCATS). WTCS simulates various subsystems SATCOM controllers use daily and creates virtual instances for training. The system features guided instruction, student-paced “free-play” in a simulated environment and computer-based training modules. It also includes a learning management system to tailor and track training and a managed document and lesson repository. Northrop Grumman developed WTCS for the Army’s Program Executive Office for Simulation, Training and Instrumentation (PEO STRI). They also provide many of the ground systems used by the Army operators through similar development programs with the Army’s PM DCATS. In addition to delivering initial occupational specialty training for WSOC operators at Fort Gordon, WTCS workstations will be installed at WSOCs for sustainment training and operator certification. Northrop Grumman was awarded the $14.8 million, five-year WTCS contract in December of 2015. WTCS-related work, which is being performed in Orlando, Florida, will continue through December 2020. Sergeant Roy Dilworth III, an instructor at the U.S. Army Signal School in Fort Gordon, Georgia, demonstrates how students will benefit from the modular, interactive training and simulation system. Northrop Grumman’s secure network operations in Orlando develops several systems essential to management of the WGS. For nearly 20 years it has provided the United States with satellite communications software tools critical to the activation and operations of the nine WGS satellites in orbit. In July, the Australian Defence Force announced that Northrop Grumman would provide a satellite ground station and a wideband SATCOM network management system to give Australia full use of the WGS constellation. U.S. Army Brigadier General William E. Cole, the Program Executive Officer for PEO STRI, said that WSOC operators have the responsibility to ensure satellite communications are always up and running. The WTCS will be an integral part of meeting that responsibility by providing training that prepares operators to handle basic operations and more importantly, to be able to handle anomalies and threats. WTCS offers the realistic training at an accelerated pace and a very reasonable cost. Martin Amen, Senior Director, Secure Network Operations, Northrop Grumman, added that the company is proud of their role in the success of the WGS ground management for the past 13 years. The company applied the expertise gained in that role to WTCS, enabling the system to truly simulate the operational aspects of this critical SATCOM ground management capability and assuring the nation's warfighters are ready, day one.